Can you talk us through the strength of the Moomins brand, what are the key partnerships for you guys and what categories would you like to see the Moomins move into next? Moomin is a strong character based brand, but its origins are in the stories and artwork created by Tove Jansson and dates back to 1945. 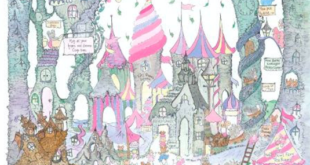 She continued her work on the Moomins until her death in 2001. The strength is in the storytelling and core values of the Moomin stories; family, love, friendship, tolerance, braveness and respect for nature, but also in the art – Tove Jansson was an artist who worked in all manners of styles and materials – from ink sketches to water color and building 3D Moomin houses and scenes from the books in various materials. This makes the Moomins one of the few licenseable art based brands of the world. The Moomins appeal to all ages and gender, with it’s beautiful stories, art and values that most people and companies would like to be connected to. With over 600 licensees, there are many key partnerships. Some, like the Moomin mugs with Arabia/Fiskars dates back to the 1950s, where others are very recent, like Gutsy animations, developing a new TV series about the Moomins, launching in 2019. Our publishing partners are of course very important to keep the stories alive with every new generation. There are a number of strategic partnerships within most categories, from stationery to apparel, museums to theme parks and all in-between. Carefully developed partnerships will expand the brand in new territories and that is always what we are aiming for, to share the Moomin universe and values with new fans. How have you seen the licensing space evolve over recent years and how are you placed to maintain Moomin’s strength of position within the space? For many years, licensing has been very dependent on TV and movies, now there are other types of licensing evolving, from influencers to celebrities. The life cycles are short and fast in traditional licensing. As a heritage brand, Moomin is very difficult to copy. It was not created as an entertainment brand. Despite the speed and change in licensing, the Moomins have a special place, a safe haven for licensees and consumers alike. Our aim is to stay true to the original stories, core values and the illustrations that Tove Jansson created. What is the strategy behind the licensing programme for Moomins – who is the core audience for the property? As previously mentioned, one of our main strategies are to be true to the body of art that Tove Jansson originally created. The Moomins are one of few licensable art based character brands in the world. The original stories have the brand values that we all consider to be important in life. The core values appeal to all ages, but depending on the territory the audience may vary. What are the key territories for the Moomin brand and how does the approach to licensing vary across them – I.e. Is the UK strategy the same as your local strategy to licensing? 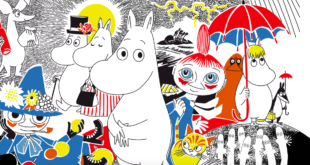 The Nordics and Asia are the strongest markets at the moment, but the Moomin books have been translated into over 50 languages so there is a lot of potential worldwide, and we constantly receive requests and interest from markets all over the world. In the Nordics, the Moomins are well known and appreciated for a wide range of products for babies, kids and adults. In several Asian countries, and specifically Japan, the primary Moomin consumer is a female between 17-35 years. The Moomin comic was originally commissioned and launched in the London Evening News in the 1950:ies and the daily strip ran for 20 years, so there has always been a strong connection to the UK. Over the last years, we have made a conscious decision to develop the UK market, working with a local agency, PR, and receiving a lot of interest from cultural institutions and retailers alike. In 2016 the exhibition “Adventures in Moominland” opened at the Southbank centre, Kew Gardens had a Moomin themed Easter egg hunt in 2017 and the Tove Jansson art exhibition will open in October this year at Dulwich Picture Gallery. We are also launching a major charity program with Oxfam. Different markets require different strategies to extend the licensing business. Why should licensees and retailers be excited to work with the Moomins brand in the coming year? There are a lot of new exiting things happening in the near future. The opening of a new theme park in Japan, as well as the upcoming brand new TV series created by Gutsy animations, directed by Oscar winning director Steve Box, to be broadcast in 2019. There are new shops and cafés opening around the world every month. We expect to see a new Moomin shop in London’s Camden Market this autumn. The world tour of the Tove Jansson art exhibition attracts new customers and licensees constantly. What does the future hold for the Moomins brand? The brand has increased its awareness steadily, for more than 25 years. We see no signs that it will decrease anytime soon. Moomin has a yearly retail value of 700 million EUR. It is a brand with a unique appeal of great stories, fantastic artwork and eternal core values. We are very proud to be able to offer Tove Jansson’s Moomin heritage to licensees and consumers all over the world.